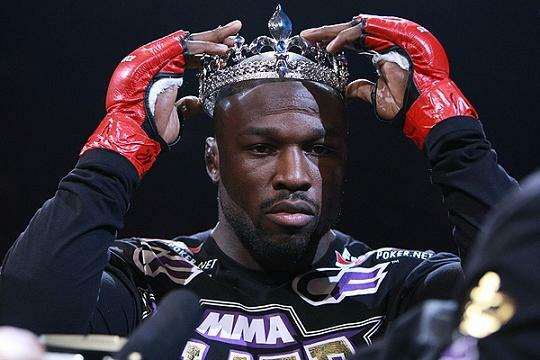 “King Mo” Lawal has admitted using a combination of two different synthetic steroids that were ingredients in a product marketed as a dietary supplement. Lawal and his manager are attributing his positive steroid test result (for Masteron) to the consumption of a tainted supplement product. Lawal told Ariel Helwani of MMA Hour that he purchased “S-Mass Lean Gainer” by Steel Body Productions from a Max Muscle store during April of 2010. Unfortunately, this isn’t really a case of a tainted supplement where steroid ingredients were not disclosed to the consumer. Synonyms of the illegal and banned steroids were listed on the label of the supplement bottle. The “S-Mass” label listed two steroids that have been the subject of controversy among anti-doping agencies (and federal regulators) since 2005 – 2a-17a-Dimethyl-5aandrost-3-one 17b-ol and 4-Chloro-17a-Methyl-a-andro4-ene3, 17b-diol. The ingredient names are synonyms for synthetic steroids more commonly known as Superdrol and Promagnon (chloromethylandrostenediol or CMA). 17b-ol. As a methylated version of Masteron, it was the ingredient that was detected in Lawal’s anti-doping urinalysis. Anabolic Resources, the company that first introduced Superdrol as a “dietary supplement”, was indicted by the federal government over 5 years ago for introducing an unapproved new drug (Superdrol) into interstate commerce. The company recently pleaded guilty to the charges and was sentenced to a $500,000 fine. It admitted that Superdrol was fraudulently marketed as a dietary supplement when it was really a synthetic steroid. CMA first appeared as a “dietary supplement” in 2005 as Peak Performance Labs’ ProMagnon. No government action was taken against the company for selling this synthetic steroid. But Peak Performance decided to discontinue the product in 2006. IN spite of the questionable legal status of these two synthetic steroids and the federal prosecution of the makers of Superdrol, many supplement companies have continued to offer these steroids as dietary supplements over the past 6 years. People within the industry are well aware of the synthetic steroids that have and continue to be sold as dietary supplements by dozens of companies. Should we expect athletes, especially athletes who are drug-tested, to be a little more suspicious about supplements that are promoted as “the most powerful designer anabolic ever created”. Mike Kogan, the manager for Lawal, believes the presence of synthetic steroids in dietary supplement arises out of the “lack of responsibility, accountability and malicious and intentional misguidence (sic) of consumers” by supplement companies. Do you agree? Or do you believe most consumers know exactly what they’re getting when they seek out these products?